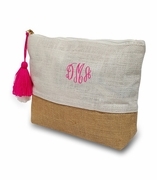 Personalized custom tote with monogram. Are you looking for an unusual and different personalized gift? Consider this cute and fun canvas tote bag! Attractive color block natural with NAVY blue bottom band, handles and piping for your special event or occasion. A stylish and functional tote bag accented with a removable navy tassel. The bold color tones of natural and navy will compliment any outfit. Perfect for brides, bridesmaids, corporate events, welcome gifts and milestone celebrations. 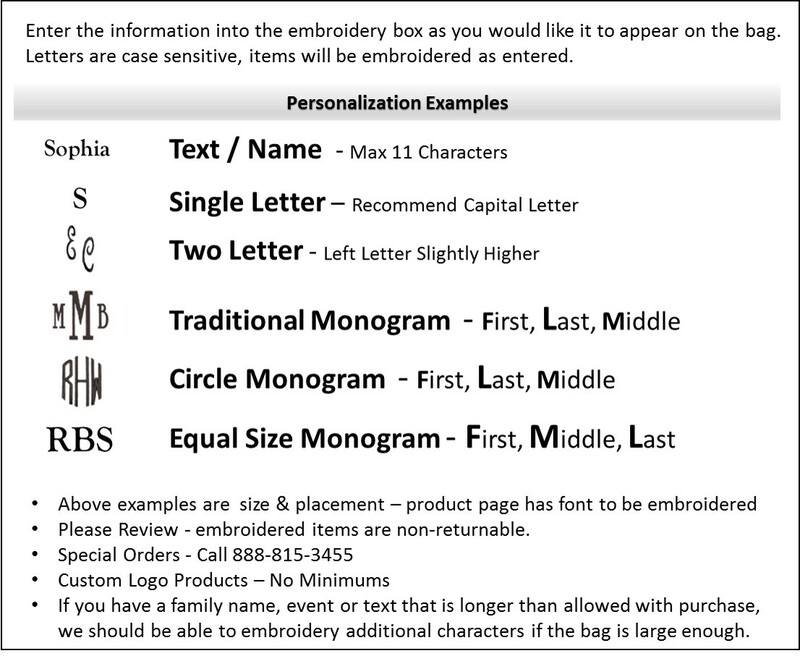 Personalized custom tote bag measures 17"W x 12"H x 8" across bottom. Canvas construction with lining, open tote with small inside wall pocket.